Desserts «Come Play In The Kitchen! Come Play In The Kitchen! Well, it’s already April! Can you believe it — the snow here in PA has finally (mostly!) melted and Easter is not that far away. I will be perusing the farmers’ markets and planning my Easter menu — once I decide on whether to make a brunch or a more formal supper. And with the advent of some nice weather, not to mention both a flat of strawberries and a case of lemons from a good friend, I have been canning (yes!) and will be posting about that in the future. Meanwhile, come play in the kitchen! 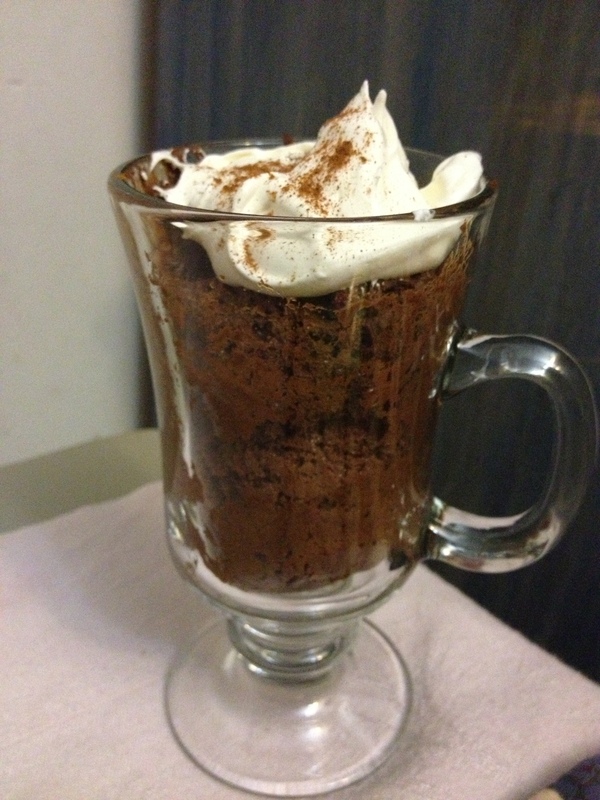 I was influenced by lots of recipes for chocolate silk pie that relied on chocolate mousse made with gelatin (and you know how I feel about that — see my post about chocolate mousse here: http://wp.me/p32HQ0-2x). So I tried to figure out how I could create something somewhat similar. I have to admit that this recipe was developed out of my commitment to bring a dessert to a family function, back when my tastes (and therefore skills and ingredients on hand) were not quite so…”sophisticated”? Not sure what word I want to use, but you get the idea…I was a young lady just entering the work force and felt the need to be as generous as possible with my commitments – usually so much so that I ended up awake for long hours every night finishing up this, that or the other and still trying to get enough sleep so that I didn’t need to caffeinate myself to death in the early a.m. This recipe was developed out of sheer desperation on a night when I needed more sleep than there were hours to devote to cooking…And I am still using it as a quick treat. I must warn you, though I attempted initially to duplicate a chocolate silk pie, t is not at all “silky”. Freezing the pie makes the chocolate and Cool Whip firm up, so you might want to set it out to soften about 10-15 minutes prior to serving. 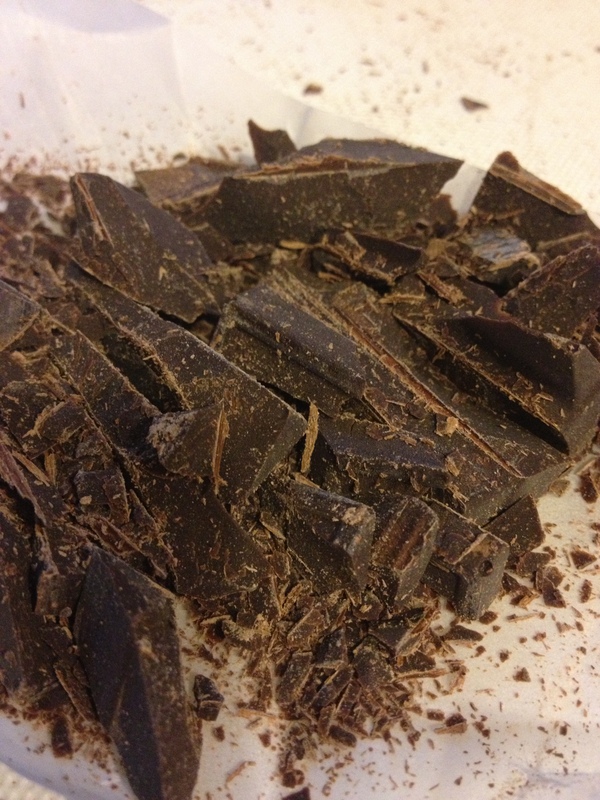 * Melt 2 of the large (4.4 oz) Hershey bars (I prefer the Hershey with Almond) in a double boiler. Be extremely careful not to get any water from the steam in the chocolate or it will seize up. * Fold the chocolate into 1/2 of a large tub (16 oz) of Cool Whip. 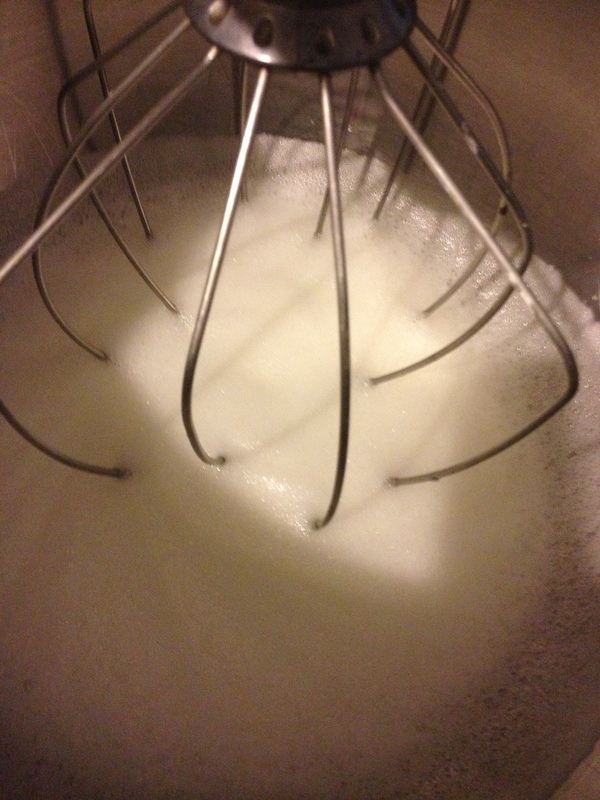 * Pour mixture into a 9″ graham cracker pie crust and spread evenly. * Top the chocolate mixture with the remaining Cool Whip. * Sprinkle with shaved chocolate or slivered almonds. That’s it. Easy peasy. Very quick and simple. I appreciate the deep, rich chocolate flavor. As I said, I have experimented very successfully with other candy bars, and even using chocolate chips — but the Hershey bars are still my favorite. Is it because I’m blessed to live within 20 minutes of Hershey? Well, that doesn’t hurt! Try it and let me know what you think!